Each year, scores of high school students across the country compete in the Congressional Art Competition, submitting works of art for a chance to be featured at the U.S. Capitol. Now, for the second year in a row, a teenager’s painting for the contest has become the center of a political controversy, drawing ire from conservative groups. This time around, the artwork stirred complaints even before making it to Washington. The painting, a finalist in the competition, currently hangs in California, in the Santa Ana office of Democratic Rep. J. Luis Correa. 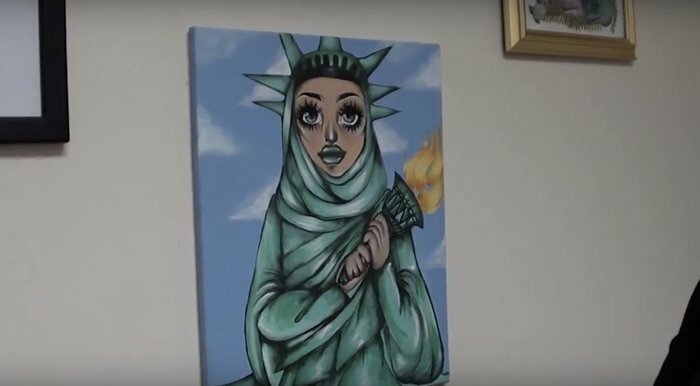 It depicts the Statue of Liberty wearing a hijab, holding her torch across the left side of her body. While the painting is simply a piece of art created by a local female high school student, its symbolism is clearly political. 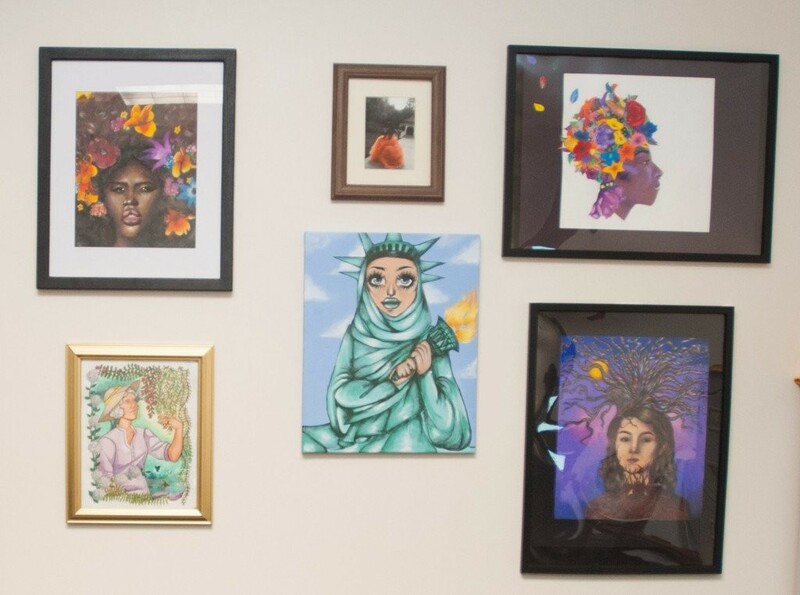 It evokes imagery similar to other works of art that have circulated since President Trump’s election, such as the popular “We The People” poster of a woman wearing an American flag as a hijab. But for some conservatives, the painting has no place in the office of a congressman. When local activist group We the People Rising saw the painting in Correa’s office, its members set out on a campaign to have it removed, calling it a separation of church and state issue.